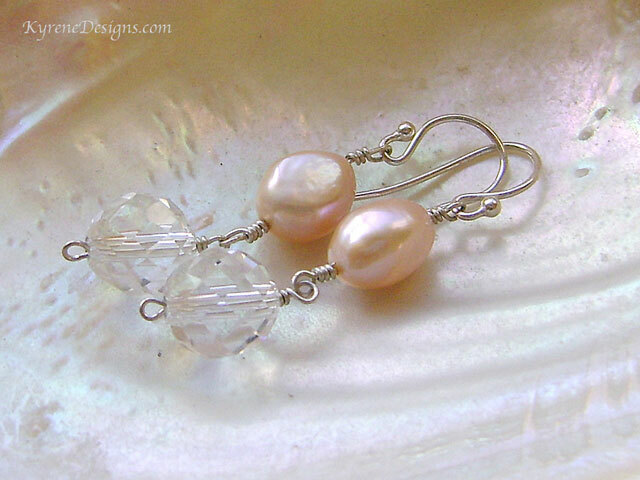 A ballet pink shimmery pearl is carefully handwired on tarnish resistant argentium sterling silver together with a faceted high-grade rock crystal gemstone to create these romantic earrings. Length: 40mm overall. 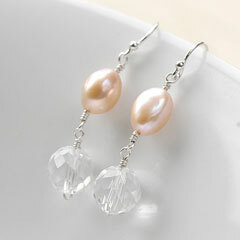 Pearl 12mm; gemstone 10mm. Sterling silver hooks.